The new army training dialog is much simpler to use and allows us to train up two full armies at one time. The best part of it all, though, is the "Quick Train" feature. The community has been asking for years to have the ability to save common army compositions and just one-click them right into production - now we have it. There's only 3 slots (be nice to have 6 or 7) but this is a real time saver. Troop training times have been reduced and we're told costs are being reduced as well. Looks like there might be some higher gem costs to finish an army and we'll be boosting everything rather than just one barracks, so we'll have to wait and see how that shakes out. The social game takes a step forward with Friendly Wars. This is what we've all been begging for - the ability to set up our own wars with friendly clans. We don't get clan XP or loot, but bragging rights is what war is all about. SC has also added "Clash Friends" - we can finally search players by their player tag and add friends rather than having to add an entire clan just to stalk your buddy. The best part about this update in my mind, though, are the balancing changes. First and foremost, we get a Clash Royale crossover - the Bomb Tower. 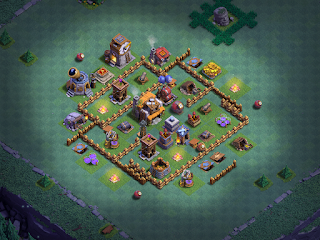 It hits at TH8, you get a second one at TH10, and there are 5 levels. Another forum request answered - the witch makes a return to the game with a serious buff. Everyone has complained that the skeleton spell was useless...well, now it spawns Larrys over a period of time. As many as 26 for a single, max level spell. Coupled with the witch, this will be pretty effective. We also get a new level 7 on the wizard at TH10 (TH9 gets the level 6 wizard) and TH11 sees level 5 baby dragon, level 6 dragon, x-bow level 5, level 9 tesla, and level 10 mortar. The defensive buffs, along with the new bomb tower, will effectively challenge spam raids of bowlers and miners. Two bits of controversy though - giant bombs will no longer yield 1.5X damage on hog riders and teslas will no longer hit PEKKA for 2X damage. Some players think this might turn these into overpowered troops; I think it will be just fine, but we'll have to wait and see. SC is also increasing the loot you can get in a clan war, both in resources as well as clan XP. Lower TH players who attack up will earn more clan XP and even failed attacks now earn apartial war win bonus. All in all, these changes will make the game much more "playable". The reduced times and costs for upgrades and troops are just huge in improving the overall experience. This has become a common theme with SC the last several months - they're making the game require less time investment and provide greater reward. The fall update hits sometime this week; everyone is anxious to get their hands on the fun...!